Processes are at the heart of the way every business operates, and the greater understanding of what they are, how they function and what impact they have, the better you’ll manage your business. This is where Business Process Mapping comes in. Visualizing the processes helps you get a better understanding of how your business functions, as well as your strengths and weaknesses. 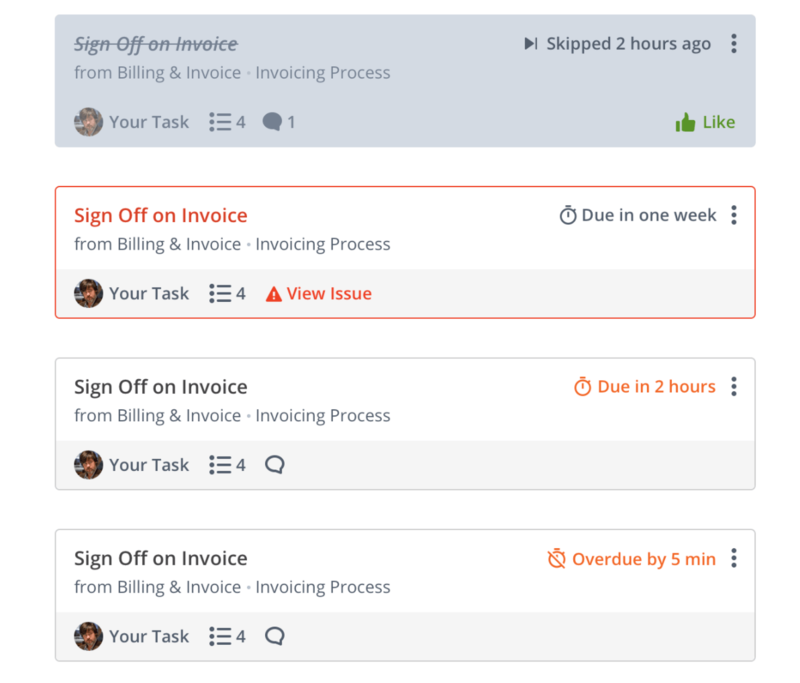 This, in turn, helps you make the business more efficiently. This guide will walk you through everything you need to know about Business Process Mapping; history, benefits, and a step-by-step guide on how to use it to better your business. Process mapping dates back to the early flow process chart by Frank and Lillian Gilbreth which they unveiled in 1921 as part of his prophetically-titled talk Process Charts—First Steps in Finding the One Best Way. The flow process chart uses graphics and symbols to represent the flow of activities within a process and after the Gilbreths’ talk to the American Society Of Mechanical Engineers, it was adopted as standard practice in much of the industrial engineering industry across America, with ASME officially introducing a range of symbols in the Standard for Process Charts in 1947. One of the first businesses to adopt Business Process Mapping was Procter & Gamble, thanks to Art Spinanger, who had learned about it from industrial engineer Allan H.Morgensen, who had in turn based his efficiency lectures upon the original concept by the Gilbreths. Process Flowcharts – These are the most common types of business process maps as they most closely resemble what the Gilbreths introduced almost a century ago. They can be hand-drawn or created in software like Office, but the downside of these methods is the lack of flexibility or adaptability. 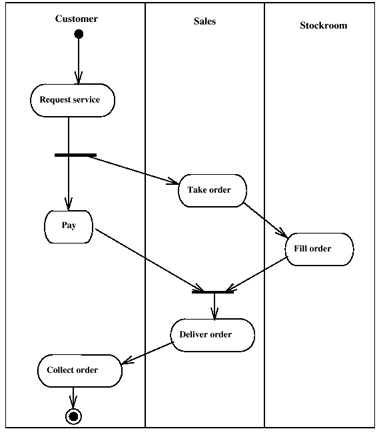 But, the simplicity and familiarity have their own appeal too, so flowcharts won’t be going away anytime soon. Swimlane Diagram – This one functions almost identically the same as a generic flowchart. The main difference, however, is that with the swimlane diagram, each of the steps is divided between different teams or individuals who are responsible for them. This makes it a very clear system for processes that need to be mapped out in this manner. 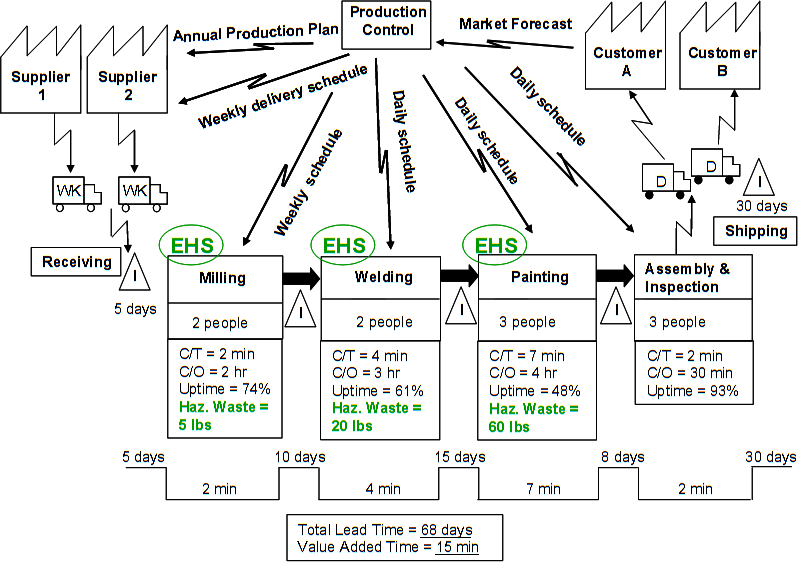 Value stream map – Another alternative to the flowchart, a value stream map is often used in lean six sigma applications and are much less straightforward to analyze at a glance. This makes them potentially more useful for a more in-depth look into a process, but also makes them less commonly used. SIPOC – This stands for Supplier Inputs Processes Outputs Customer and is a very simplified process map that strips away 99% of the information to focus on the essentials of the process and the people involved. Want to learn more? 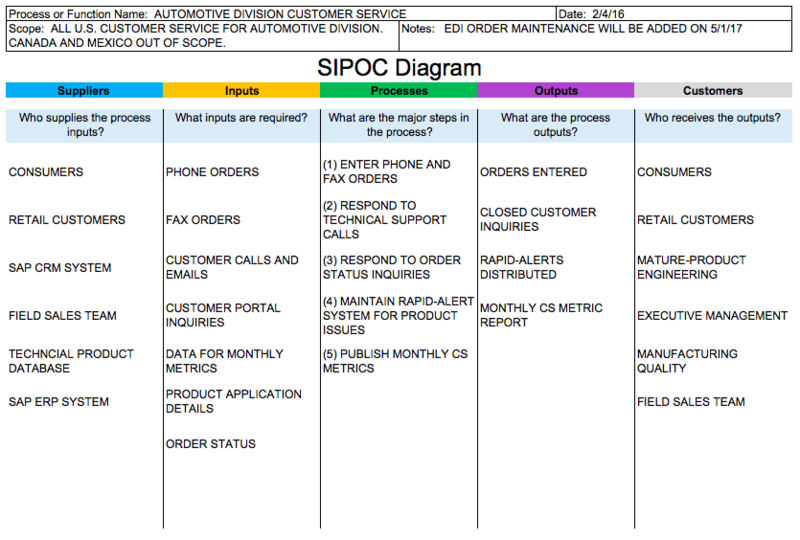 Read up our guide on SIPOC diagrams. Software – The most high-tech tool for process mapping is Business Process Management Software. The added benefit here is that the software also allows you to keep track of the processes post-mapping. i.e. how the process is performing, if there are any bottlenecks, missed deadlines, etc. On the other hand, it can also be used by your employees to keep track of their tasks & to-dos. This allows for easier process optimization since you can see when and where anything goes wrong. Want to learn more about process management software? Check out our guide to some of the best BPM tools out there. Business Process Mapping comes with countless benefits for your business. In fact, chances are, you’re leaving free money on the table just because you’re not doing process mapping! This should go without saying – every once in a while, you end up in a situation where no one knows what’s going on with a certain process. Who’s in charge of what? Why is the new report not ready? Why did the manufacturing line just blow up? A business process map helps visualize the responsibilities on everyone’s part – it’s going to be clear who’s in charge of what for each part of a process. Spotting the problem is easy – just look at what blew up. Finding the source, however, tends to be more difficult. 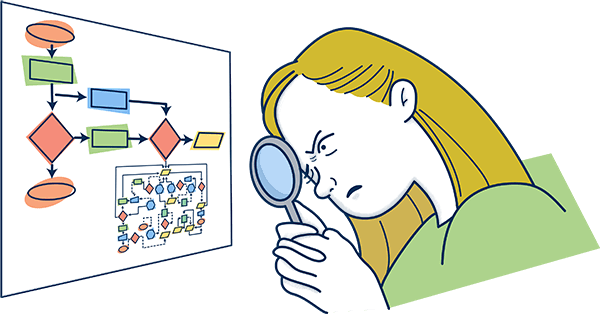 A process map visualizes the entire process that led to the bottleneck, making it a lot easier to spot what, exactly, went wrong. As well as identifying areas that are causing inefficiencies, Business Process Mapping is a great tool for spotting potential risks caused by processes that leave the company open to legal or health and safety problems. If you end up missing a step that’s critical to some governmental regulations, it can be extremely hazardous to the company – creating danger for the employees or the environment, which in turn, leads to fines. For the same reasons, process mapping can be a valuable resource when it comes to supplying evidence for regulatory standards in terms of compliance. Once Business Process Mapping has been introduced to a company and a process has been mapped and optimized accordingly, the map can be used across the board as evidence of best practice and an exemplar for the rest of the business processes. This brings some uniformity to the way processes work within the organization and rewards those who put in the initial effort, as well as demonstrating the importance of the mapping. If on the other hand, a process is underperforming, it’s easier to try out different ways to carry it out & compare it to the original benchmark. In any business larger than a handful of staff, it is inevitable that a silo mentality will develop over time, and that staff at all levels will lose sight of the big picture of what the business is attempting to achieve. Even when you drill down to just one process involved in the organization, Business Process Mapping can help everyone understand the big picture and get re-engaged with the vision and the steps required to achieve it. Business Process Mapping allows your employees to get a very good sense of what’s going on within the business – both on a day-to-day level and on the larger scale. This, in turn, makes it easier to achieve the bigger goals. While it’s good to map out all of your processes, you have to start from somewhere. So, the first step is to pick the process you’d want to start working with. You probably want to start with the process that’s critical to your business, the improvement of which can easily be tracked with numbers. Reactive – This is where a process has failed or is majorly underperforming, due to some sort of a bottleneck. You’d want to carry out mapping here as a means of identifying and fixing the issue. Strategic – This is when the mapping is being done as part of a high-level strategic overhaul, in which case the process chosen will be one that is considered integral to that strategy and the organization’s goals. Customer-Focused – And finally, this is when the process is selected for mapping because it is key to ensuring that customer satisfaction is improved and fixing problems or inefficiencies within that process will deliver a visible boost for customers. Even if you know the ins-and-outs of your business, you’ll still want to cooperate with the field employees who work with the process. Their input can be priceless on this, as they might already have a few ideas on how to improve the processes. In addition, they’ll also act as evangelists for the initiative. Change tends to be scary for everyone – and a process mapping initiative might seem threatening to some of the field employees. Who knows, maybe someone’s position will have to be cut to increase efficiency? Involving them in the initiative will make sure that their voices are heard, putting the fear of being left out to rest. You might also want to get someone from the senior management on the team. Without one, you might have to ask for management approval on even the smallest changed you’d want to carry out. Getting buy-in for company change isn’t easy. You can, however, use change management models such as the ADKAR model or Bridges Transition Model to get your employees used to change. Once you’ve worked out what you want to achieve and which process you are going to map, you need to start gathering the required information. All of the steps need to be identified and recorded, capturing who does what, when and how, gathering as much detail as is required to have a comprehensive process map. At this first stage, it is best to err on the side of getting too much information and filtering it down as you work through it, rather than end up with not enough and have to revisit the process. As part of the information gathering, you need to talk to the people involved to find out what their understanding of their process is and to use what you get back from them to identify the problems and the opportunities to improve. You have to stay aware that staff will bring their own feelings and agendas into their descriptions of the way things work, but it’s still important to listen to them to get a better understanding of the process that you wouldn’t be able to get any other way. With all of the necessary data, it’s time to draw up the baseline map, one that shows how the process is currently operating, flaws and all. This will demonstrate the way the process works before any improvements have been made, so will act as both the evidence for what needs to change and also can be used to compare and contrast after a new process map has designed and implemented and as a guideline for mapping further processes in the future. Even though you have your process map in hand, your work isn’t really done. What’s the point of the map, after all, unless you actually learn something from it & make some improvements. From your previous investigations, you’ve probably already identified a flow or two within the process as-is. With the map, however, you can find a lot more. From then on, you’d want to carry out BPI or BPR, finding different ways to improve the process (or maybe completely restructure it). Once you have an idea or two on how that could work, you’d want to implement the new processes on a smaller scale, and if it works better than the old, apply it to the rest of the organization. If your employees are having difficulties adapting to the new process, you could give them a small nudge by creating and communicating a new process map. Not sure how to find and apply improvements? Learn about the 4 most common ways to improve processes. Whether the Business Process Mapping is being done as part of a larger overhaul of processes within your organization or not, you need to start proper monitoring of how your improved process is functioning. Only through constant monitoring and optimization can you expect your processes to continue to be refined and improved, Business Process Mapping cannot be a one-time thing that will be expected to fix all of your problems. Now that you know the theory behind process mapping, it’s time to carry it out within your organization. Theory, after all, will only get you so far. If you’re looking for the right software to give you a hand with process management – anything from mapping to re-engineering – you might want to give Tallyfy a try & schedule a free demonstration! Thank you for the amazing summary.